The 49ers announced they have released K David Akers, this after a season in which he nearly missed as many kicks as he made. In two seasons with the 49ers, Akers appeared in all 32 games, as well as five postseason contests, connecting on 73 of 94 field goal attempts and all 78 PATs. His 297 points over the past two seasons ranks first in the NFL over that time span. Akers set the franchise record for consecutive games with a made field goal, hitting at least one in all 32 regular season games. In 2011, he set the NFL record for field goals made (44), field goals attempted (52), and points with no touchdowns (166). His 166 points also set the franchise single-season record. In 2012, Akers hit a 63-yard field goal at Green Bay, tying the NFL record for the longest field goal made. 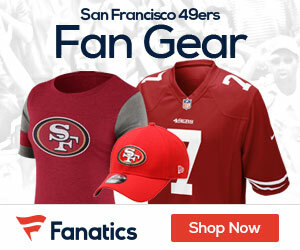 Be the first to comment on "Niners Release Kicker David Akers"